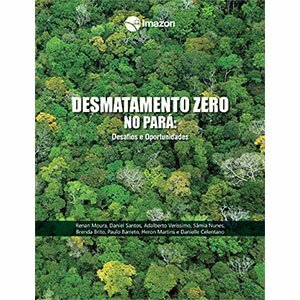 This Imazon publication provides recommendations on how to achieve net zero deforestation based on three pillars: reduction of degradated areas, increased of productivity / intensification of pastures and forest restoration. 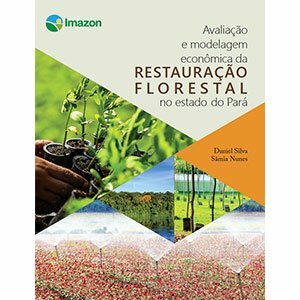 The consulting firm Terra native and Imazon have shown in the publication “Evaluation and Economic Modeling of Forest Restoration in the State of Pará,” that the cost of restoration in the state can be reduced or even surpassed by the economic benefits that the restoration can provide. In the best scenario, the cost of implanting restoration to cure the PPA’s deficit was estimated at between R $ 2.5 and 3.5 billion over 11 years. However, this cost can be reduced by up to 74% if we consider the economic returns from the sale of carbon credits. 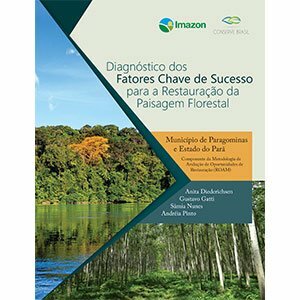 As part of a global effort to expand the scale of restoration, Conserve Brazil and Imazon applied for the first time in the Amazon the “diagnosis of key success factors for restoration of the forest landscape”, which is one of the main components of the Restoration Opportunity Assessment (ROAM), created by WRI and IUCN to guide decision-makers, specialists and implementers of forest landscape restoration actions. The diagnosis included three major themes (motivate, facilitate and implement), divided into 31 key factors. It was carried out in depth in the municipality of Paragominas and in a simplified way in the State of Pará. 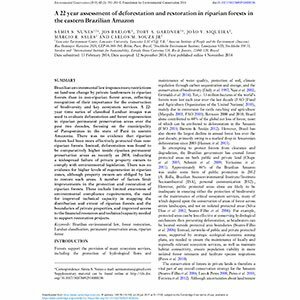 For the elaboration of strategies open standards for conservation practice developed by the Alliance for Conservation Measures, in line with Planaveg, were used. 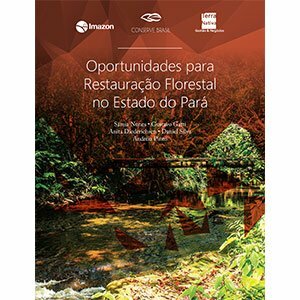 The objective of this work is to put together and arrange all the information generated in the scope of the aforementioned project, to assist with the identification of opportunities for RPF, besides recommending actions that can help to scale the restoration in the state of Pará. 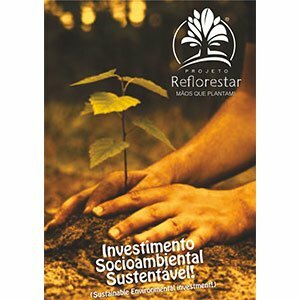 The first steps for the application of ROAM in the state and promote mobilization around the theme, generating information that can guide public policies to increase forest cover associated to the generation of environmental, social and economic benefits to the community. 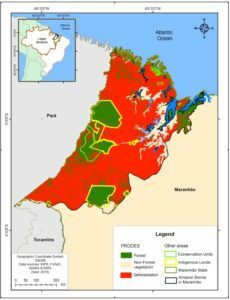 Brazilian environmental law imposes more restrictions on land-use change by private landowners in riparian forests than in non-riparian forest areas, reflecting recognition of their importance for the conservation of biodiversity and key ecosystem services. A 22-year time series of classified Landsat images was used to evaluate deforestation and forest regeneration in riparian permanent preservation areas over the past two decades, focusing on the municipality of Paragominas in the state of Pará in eastern Amazonia.